My co-workers know I’m into pens and notebooks and ink. I sometimes have parcels delivered to the office so they were there when I received my bottle of Akkerman ink and they were there when I received my Visconti pen. So they are well aware of my addiction. And when Alison found a pen set in a bag of craft items from her husband’s grandmother, she knew I might have a use for it. And I am so grateful she thought of me, for use it I will. It looks like a VHS tape box, and that’s what Alison thought it was at first. 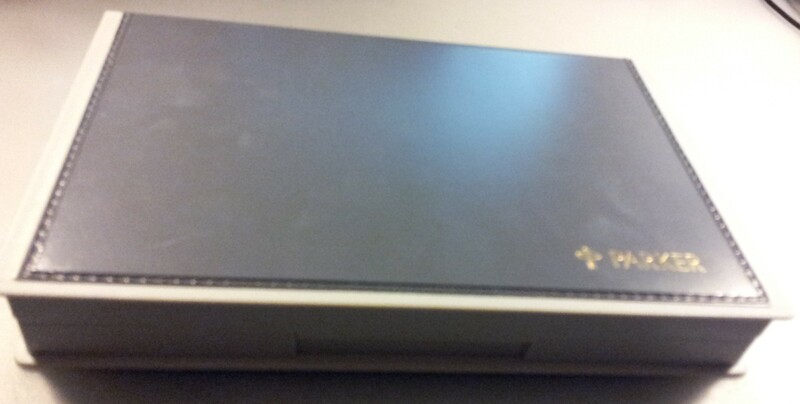 The box is grey plastic with the gold Parker logo on it. Inside is grey molded plastic, covered in a flocked material. The set comes with a Parker Vector, 4 nibs (including one attached to the pen), a coverter, and 6 cartridges (2 red, 2 black, and 2 blue). There is also a limited instruction manual; more about the history of Parker (in seven different languages) than a step-by-step guide to calligraphy. The pen itself is utilitarian, with no markings on the nib except for the brand name. There is a Made in UK stamp on the cap. You can see a closeup of the nibs here. I don’t know what they are called officially but in the quick internet research I’ve done most people are saying the set comes with one pelleted nib (like a standard fountain pen nib, shown above in the set of three, in the middle) and 3 calligraphic nibs (fine, medium and broad). One of the cartridges was in the pen when I got it, and was empty. And judging from the appearance of the other nibs, it was the only one ever used. Shown above I believe it is the medium calligraphic nib. I cleaned the pen and then I tried putting one of the cartridges in but could not get the ink to flow. 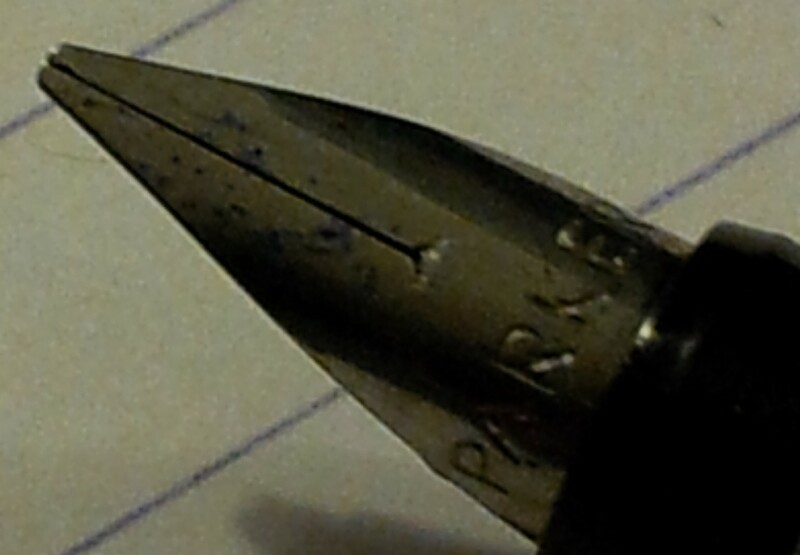 I had better luck when I filled the converter with Parker Blue Quink. And then I did writing samples with all of the nibs. So this is the largest or broadest nib. It was difficult to control and the ink flow was sporadic. I’m sure that’s because I have no idea how to write with such a monster nib. Next up was the medium nib. And a closeup of the medium nib. Next I put the fine nib in the barrel. Changing out the nibs was very easy, incidentally. No issues whatsoever for this newbie. 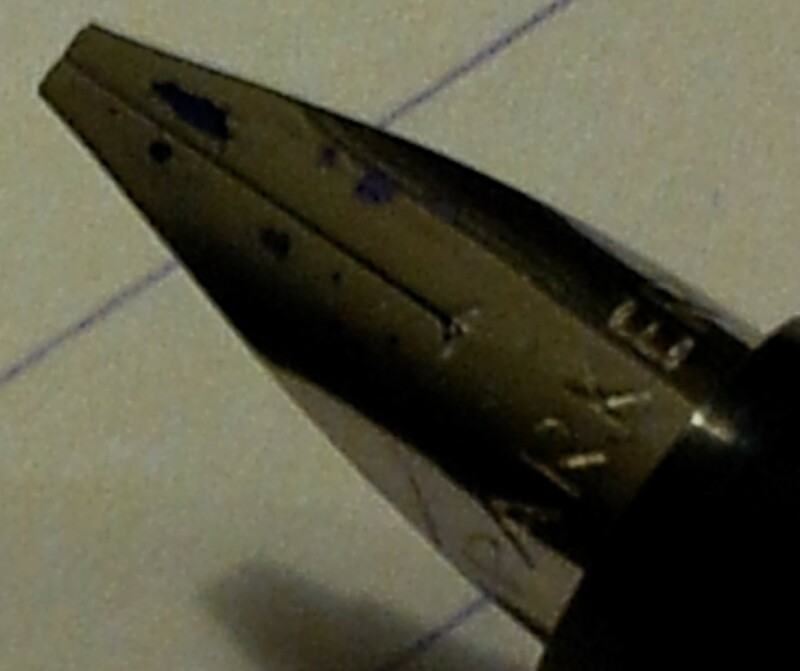 And then the closeup of the fine nib. I really enjoyed writing with this nib, until I put the pelleted nib in. Wow, sooo smooth! Couldn’t believe it. Ahem. 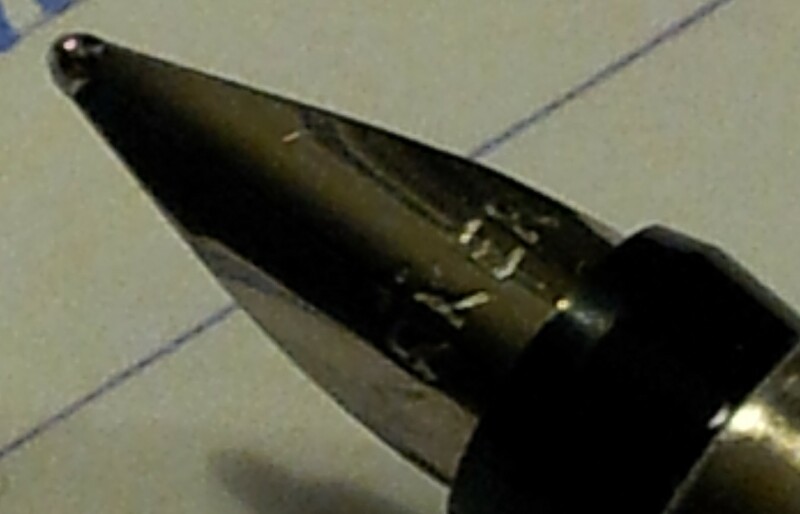 The above should read “- also the first time EVER inked.” And here’s a closeup of the pelleted nib. The set was released in 1989 and from what I can gather there was an Essentials set that came with 2 nib units and 4 cartridges, and a Deluxe set, which is what I have here. The original retail price was around $20. There is a set on ebay currently, with an asking price of $35.99, and one of the cartridges is missing. I also found an expired listing in which a set was purchased for $11, and that had all of the cartridges included, although one was empty. Finally I thought it would be neat to see all 4 nibs in action. 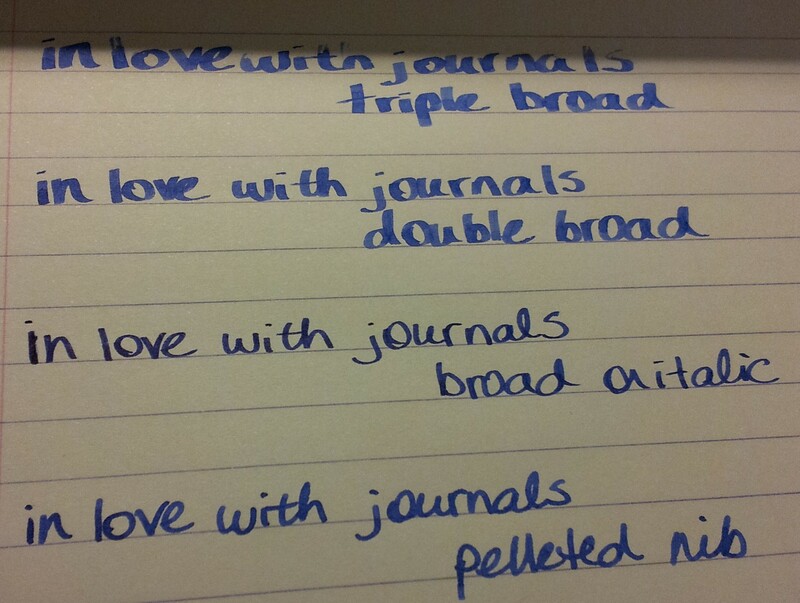 When I wrote this I was calling them broad, double broad and triple broad in my mind, and then I came across the internet people calling them fine, medium and broad. But you get the idea. It’s a lovely set with a good pen. 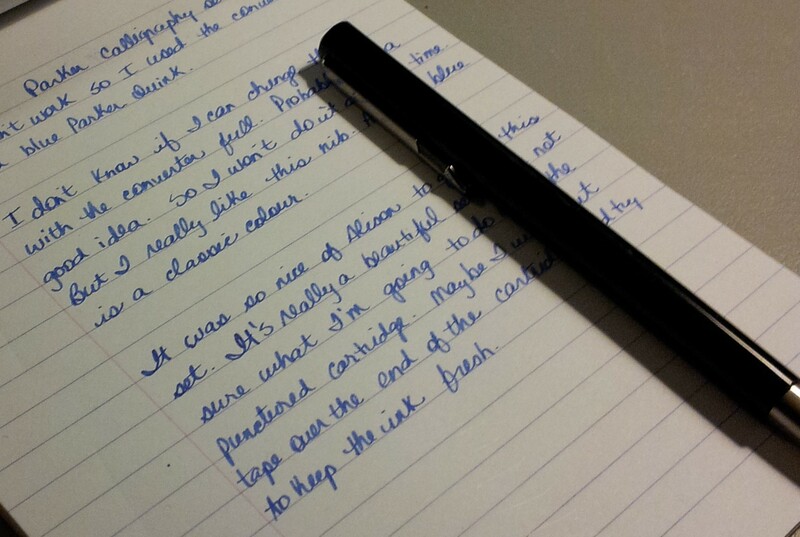 It writes well once it gets going, and it seems to prefer the converter with fresh ink. If this set was released and perhaps purchased for Grandma in 1989 those cartridges have been sitting for a long time and are perhaps dried out. I had a lot of fun experimenting. Thank you again, Alison, for this thoughtful gift. This entry is fantastic. The descriptions of the pen and the nibs is complete, and the pictures really show the details very nicely. Good job! Thank you! It pretty much wrote itself because I was so excited to try it out. Good idea Denise, I will do so! 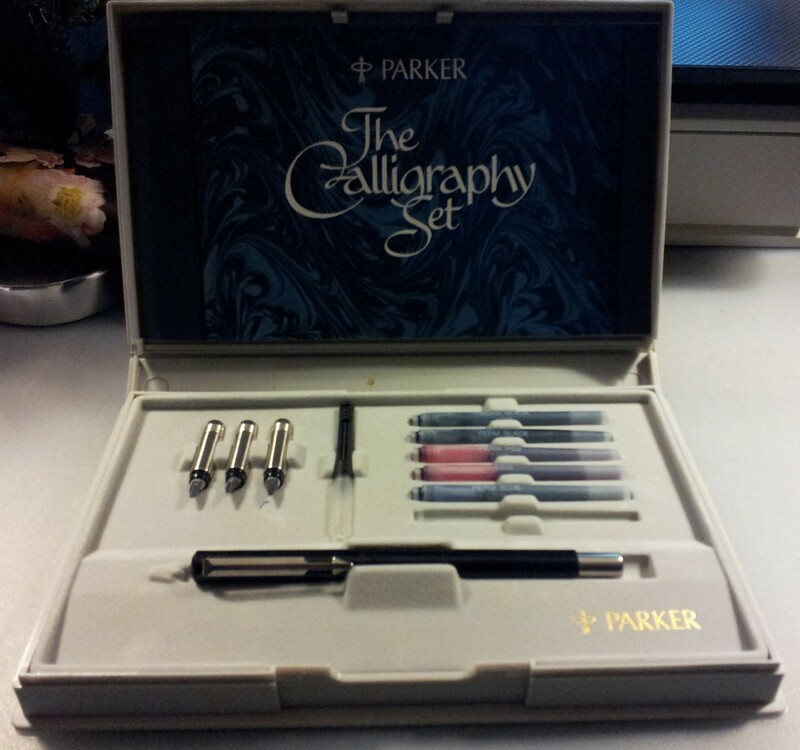 I have this set and had not used it in a long time. The ink does dry up, and I’m not sure what is the best thing to try. It does write beautifully as I remember and I intend to do it again. Hi you can easily wash the nibs with water, it’s a good idea to regularly rinse the nibs when using especially if you are not going to use for a time. This will keep the nib clean, giving a smooth flowing writing experience. This looks like it’s going to be lots of fun! What a thoughtful gift! What a great home as it will get a lot of use and love. 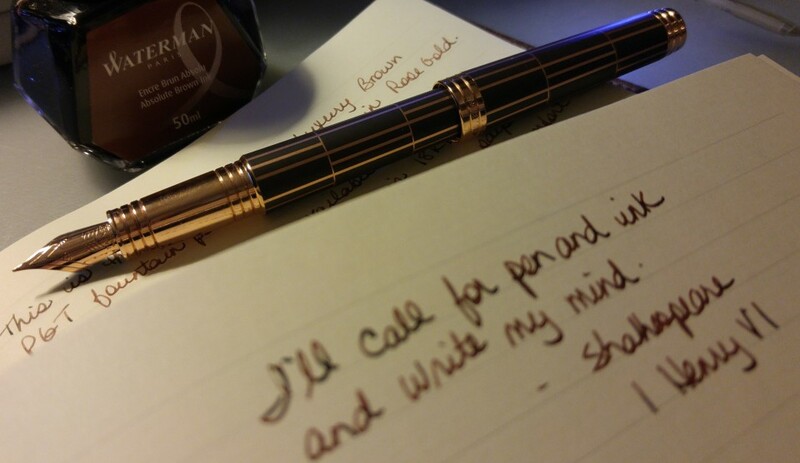 I haven’t tried calligraphy yet, but have pens and ink. I picked up some books and tutorials. I hope to find some time to learn! It looks so awesome. I just received this set from a friend who has had it for a while. It was purchased for $5.00 at a garage sale. Came in great condition with two empty cartridges (blue & black), full black, two red and converter. 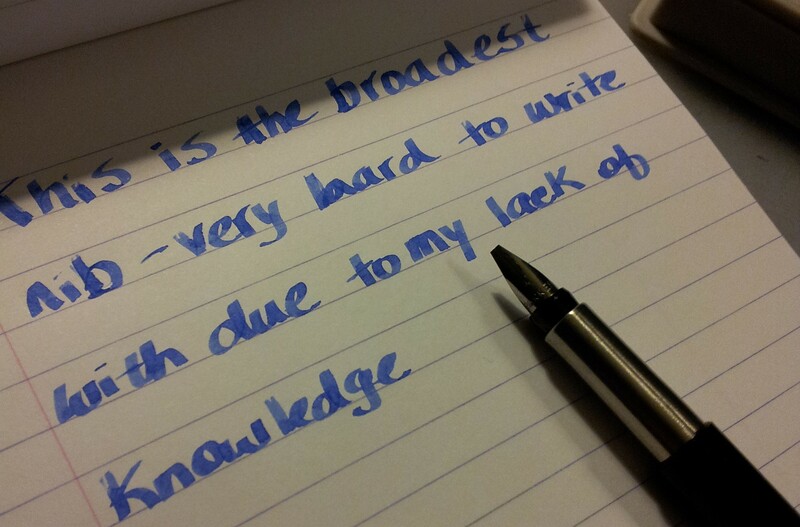 I used the medium nib and black ink…FABULOUS! Hope to be able to find Parker Quink ink and cartridges. That pelleted nib looks enormous, is it the same as a standard Vector? 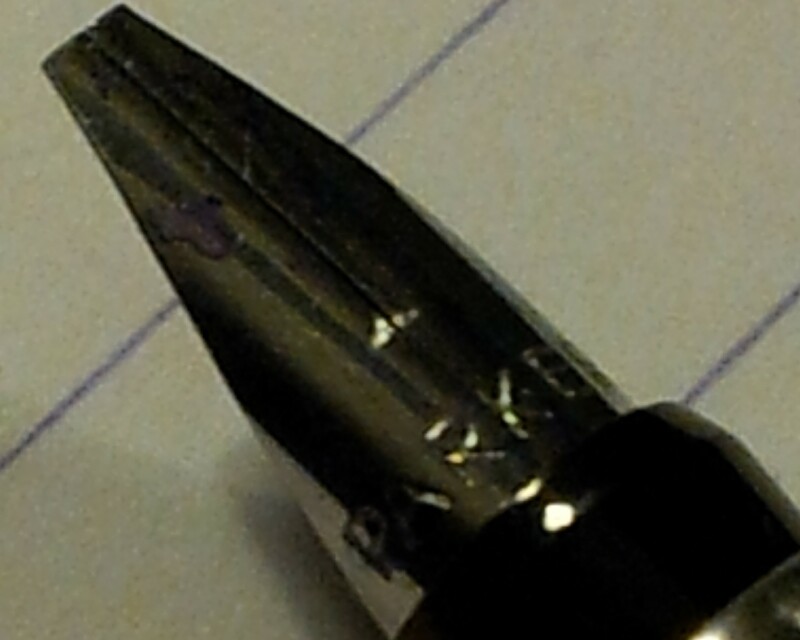 I reckon it would be a great nib to regrind into a stub. Hi Thomas I have no idea, as this is my only Vector. I agree with you, it would be a great stub conversion, although I love it in its present form. Thanks for the comment. 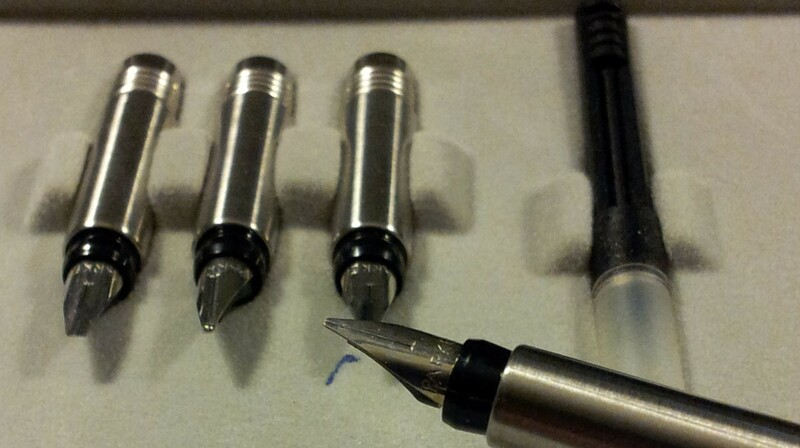 I can only write in Calligraphy so these set’s are must have to deliver that Special quality that the pen can deliver. And will only ever use PARKER.